Colorado is a mountain wonderland for outdoorsy couples — especially for those who love to hit the slopes. 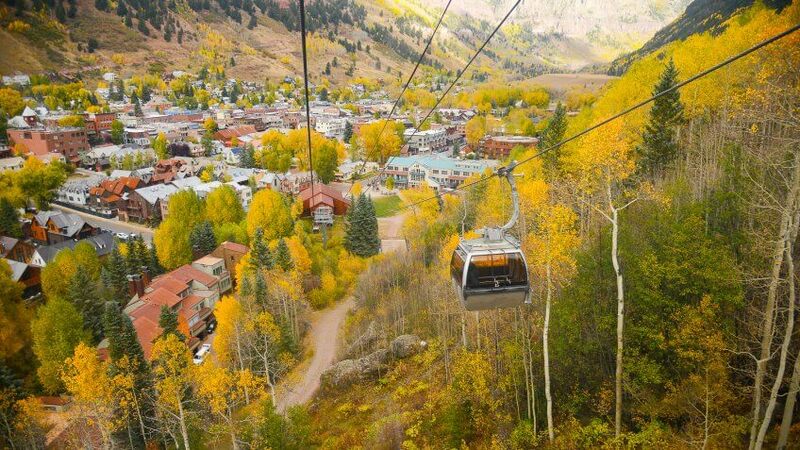 You'll find some of the best ski resorts and hotels in Telluride, Aspen, Vail and more. But there's more to do in Colorado than just ski. From whitewater rafting to dipping into hot springs, you and your partner will enjoy exploring what the state has to offer. For example, if you're looking to get in touch with your inner John Wayne, consider a quick trip to Loveland's Sylvan Dale Ranch, which offers guided horseback riding with "saddle bag" lunches on request. Or, go rock climbing at the Garden of the Gods. Where to Stay: Fairmont Heritage Place in Telluride is perfect for a romantic weekend getaway. Just steps away from ski gondolas and walking distance to dining and entertainment, this resort offers accommodations in luxury residences complete with fireplaces, fully equipped kitchens, spa tubs and private balconies. The Fairmont also offers a romantic getaway package, which costs $300 and includes a couple's massage, complimentary bottle of champagne, and a truffle gift set. Room rates start at $399 per night. For a less-common stay in Denver, check out The Oxford, known for its luxe amenities. You'll want to snuggle your sweetie while staying in this cozy hotel with rooms from $207 per night. The Oxford also offers a Vintage Romance Package, which includes overnight accommodations, two cocktails and one appetizer in the Cruise Room, complimentary valet parking and, if available, the option to upgrade your room for free. 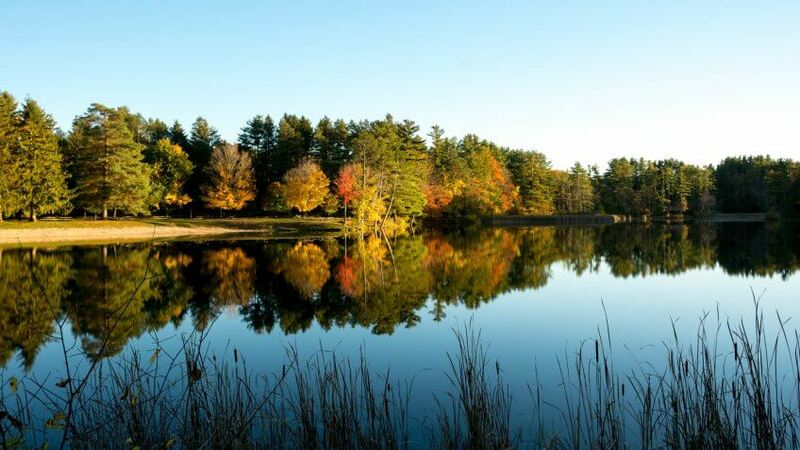 The Green Mountain state is an easy getaway from the crowded urban corridor of the Northeast. Escape to a serene countryside of mountain resorts, wine trails and rolling hills. Ride the Lake Champlain Bikeways network, visit the Vermont State Fair in August or hike the Long Trail. One of the best free things to do in this state is to take a free tour and sample authentic Vermont maple syrup. If you and your sweetie prefer to take the road "less traveled," consider checking out the Robert Frost Stone House Museum in Shaftsbury. You can explore the house and grounds where "The Road Not Taken" poet once lived. If strolling the family apple orchard leaves you feeling famished, head over to the nearby Madison Brewing Co. in Bennington. You won't want to miss out on the wings or beer. Where to Stay: This summer or fall, head to the Mountain Top Inn & Resort in Chittenden. It's a wedding destination that offers a Moonlight in Vermont two-night package for couples starting at around $1,000. The package includes a couple's massage, a scenic boat ride, a three-course candlelit dinner and use of the resort's amenities, which includes kayaking, a private lakefront beach and more. Keep in mind this package is available from May through October. Or, you can explore your rustic side by staying at the Sterling Ridge Log Cabin Resort in Jeffersonville. Along with traditional features like wood stoves and covered porches, these secluded cabins have cable TV and fully equipped kitchens. Plus, you can bring Fluffy and Fido along, as the resort is dog-friendly. You can get a cabin from $145 a night, depending on the type and when you decide to go. 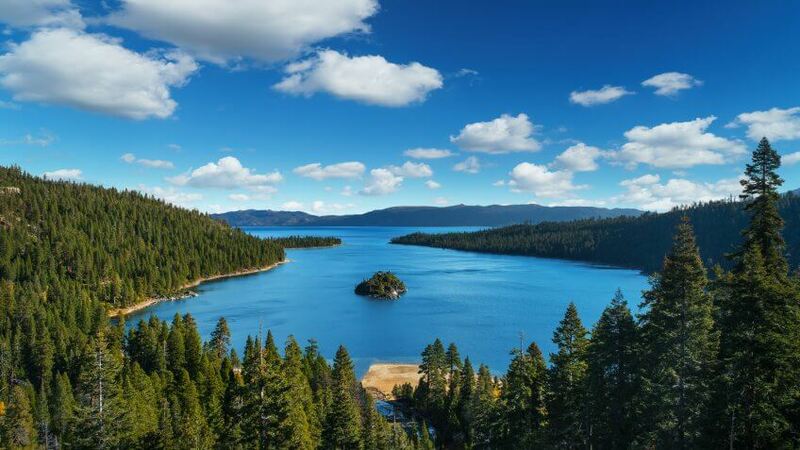 From the rolling wine country to the Pacific coastline and state parks, couples who want to hit the open road will enjoy exploring some of the most scenic road trips in the country in California. Couples venturing to Northern California can explore the Redwood National and State Parks or spend the weekend in San Francisco. Meanwhile, Southern California offers world-famous beaches, tours of Universal Studios and concerts at the Hollywood Bowl. Where to Stay: If you and your partner want to get away for some skiing or snowboarding, the Squaw Valley Lodge in Lake Tahoe offers a romantic getaway dining package. This package includes a two-night stay in a deluxe studio suite condominium, a three-course dinner, a Swedish couple's massage and access to the whirlpools, sauna, steam room and health club. Prices start at $848 for midweek stays and a little over $990 for weekends. For beach lovers, the Hotel Del Coronado in San Diego has a Bed & Breakfast package perfect for a mini-moon. Accommodations include a breakfast buffet at Sheerwater, which overlooks the Pacific Ocean. The hotel also offers a Seaside Bliss package for a romantic spa weekend. The offer includes a $100 spa credit you can use toward a couple's massage or even a chocolate scrub. A price search on the hotel's website showed you can find Bed & Breakfast packages for $569 in mid-February, while the Seaside Bliss packages are available at $584 per night. A short drive to the border for some Americans, Mexico is a budget-friendly alternative for couples looking to escape for a weekend. You can stretch your dollar far in Mexico, which means rates, dining and shopping are usually more affordable than some U.S. destinations. And, the country's coasts are lined with resorts that make honeymooning in Mexico simple and alluring. Honeymooners or couples on a romantic weekend getaway can head to Cancun for shopping, beaches and expeditions to Mayan ruins. Many resorts in Mexico are all-inclusive, giving couples a chance to relax with most amenities within reach. But if you're feeling more adventurous, snorkel with sea lions or go whale watching. For a romantic getaway that's both fun and educational, consider a trip to the National Museum of Anthropology. This Mexico City facility covers nearly 20 acres and includes a reconstruction of a Mayan tomb. When you're ready to take off your thinking cap and don your sunglasses, visit Hidden Beach west of Puerto Vallarta — it's said to be a lover's paradise, according to travel blog Atlas Obscura. 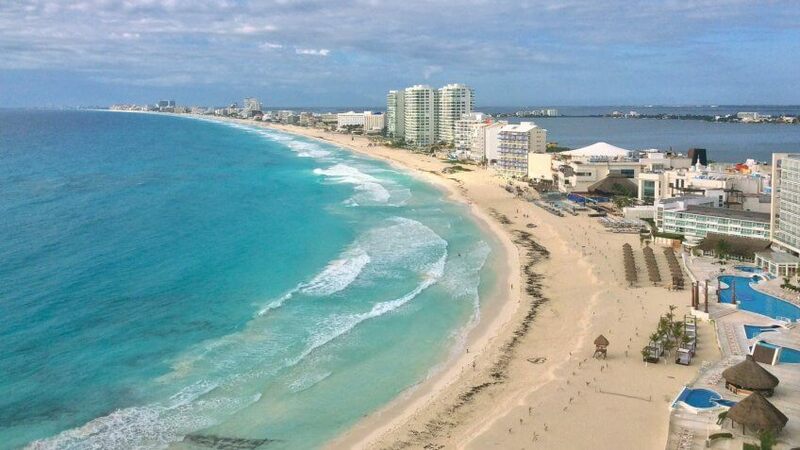 Where to Stay: Grand Oasis Sens in Cancun currently has a romantic getaway offer starting at $198 per night on Groupon. As part of its all-inclusive charm, this deal includes all meals and snacks, unlimited domestic alcoholic drinks, nightly entertainment and much more. You might even find cheaper travel deals on Groupon. For example, there's a deal for a stay at a three-star Cabo San Lucas hotel starting as low as $60 a night. With this deal, you and your partner can stay in a deluxe room with a marina view. With plenty of luxury at surprisingly affordable prices, it's no wonder Hawaii is one of the most popular honeymoon destinations. And, it can be the perfect romantic getaway. Once there, you can charter a helicopter in Kauai, learn to surf on the shores of Oahu, take Saddle Road on the main island through mountains and valleys, or see the mesmerizing Haleakala sunrise in Maui. If you and your honey want to get your hike on, consider a trip to Akaka Falls State Park on the big island. Basking in the breathtaking views, you'll fall in love all over again. 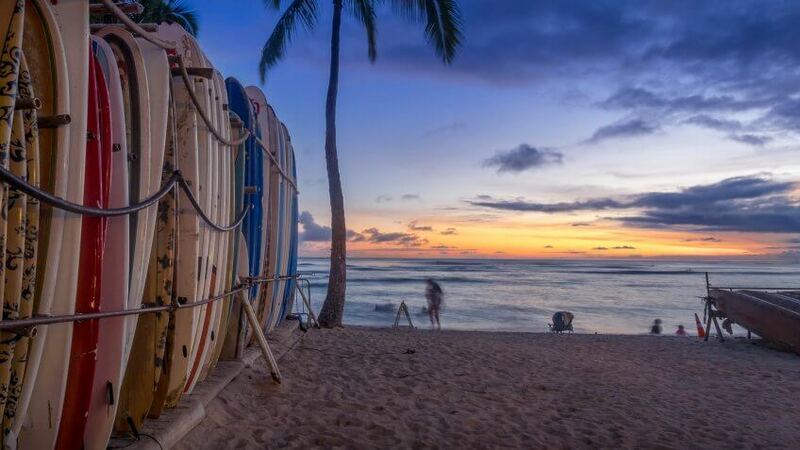 For a more relaxing experience, head to Kahanamoku Beach near Honolulu to watch the sunset. Where to Stay: For an easy and romantic Valentine's Day weekend getaway, try the Modern Honolulu boutique hotel. Starting at $299 from Feb. 10 to Feb. 21, you can get a bottle of champagne as well as other special perks if you choose the Valentine's Day package. If you want to stay on the big island, consider Castle Hilo Hawaiian Hotel, which is offering rates of $122 per night for AAA members. 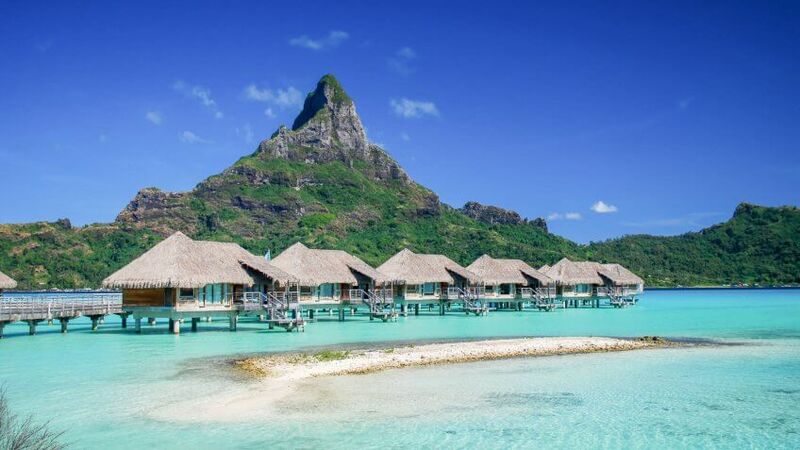 Bora Bora and Tahiti are the very definitions of romance, with luxurious spas, high-end resorts and translucent waters beneath over-water bungalows. In this swirl of sensuality, couples immerse in the spell of gentle sea life, the sound of ocean tides and exquisite remoteness. During your romantic weekend getaway, you can feed sharks and stingrays and snorkel in clear, warm waters. Or, go for a sunset catamaran cruise, hike to waterfalls and sample local cuisine off food trucks. Of course, you don't have to spend all day on the beach. Shop for pearls or check out the Robert Wan Musée de la Perle, a pearl museum in Papeete to see the beautiful gems. Additionally, you can check out the Tomb of King Pomare V, built of beautiful coral stones. Where to Stay: If you book at the right time, take advantage of the Four Season's "second night free" offer at its Bora Bora location. The offer also includes a daily breakfast for two in the Tere Nui restaurant. As an example, a price search for a two-night stay in late February found the stay could cost around $600 per night. You can also find more affordable accommodations at Vanira Lodge in Tahiti, which offers free WiFi, complimentary tea and coffee, and rooms from around $140 per night through Hotels.com. Sydney Champion and April Maguire contributed to the reporting for this article.